You won’t feel isolated. If you are cooking or doing dishes in a kitchen that flows into a family room, you will be able to chat with family and friends or continue watching television instead of being stuck in a closed off room by yourself. You will be able to keep an eye on the kids. A great room with no walls allows you to watch your kids at play while you are cooking or cleaning. More natural light. Without interior walls, sunlight will flow through the house from the exterior wall windows. You will also have an unobstructed view of the great outdoors. Ideal for entertaining. When you have guests over, they can congregate throughout the great room, so you won’t miss anything if you are in the kitchen cooking and serving food. Lack of privacy. If your household includes people of various ages on a multitude of different schedules, an open floor plan can make things challenging. For example, if your teenager wants to have friends over for a study group at the kitchen table, but you want to watch a movie. Or perhaps you want to read quietly on the couch, but your daughter’s having a sleepover and they want to have pizza and bake cookies. A separate, enclosed kitchen may be better for some families. Limited wall space. Placing furniture in an open space is tricky sometimes, especially if you have a lot of windows. And if you are an art lover, you are going to want blank walls for displaying your treasures. Overwhelming mess. Smaller, enclosed rooms are easier to keep neat and tidy. With open floor plans, stuff tends to spread out. And you may not want kids’ toys in your main living space, so a smaller, enclosed room might be your preference for a play area. Too noisy. With an open plan, there are more acoustics, therefore noise travels further. 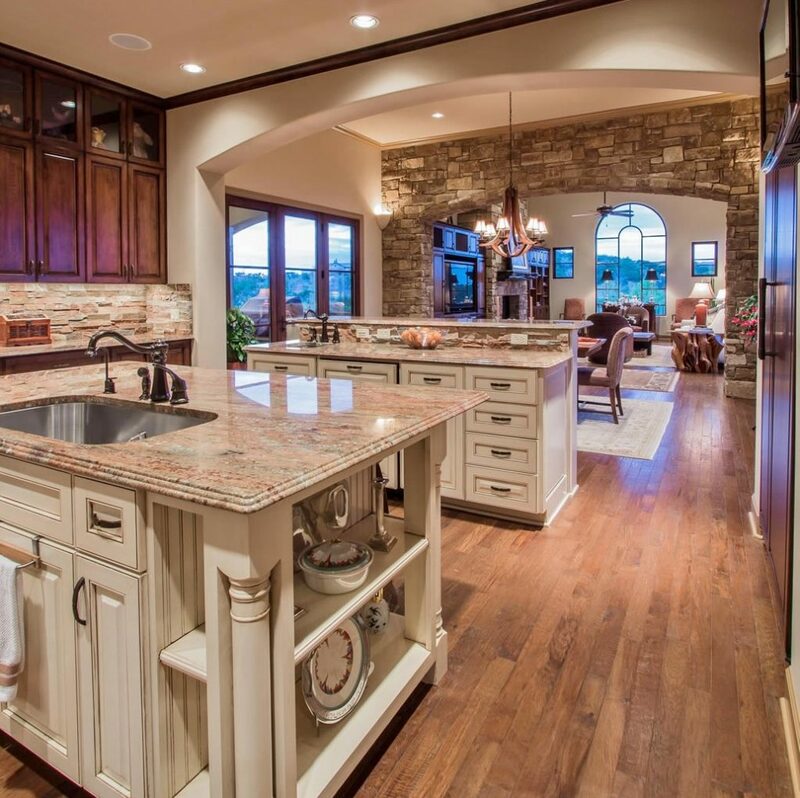 A quiet conversation in the kitchen may not be possible with the television on across the way.